They say that if a hundred monkeys were put in the same room and forced to type, eventually they'd write the works of Shakespeare. But what if the monkeys had neural augmentation devices that allowed their brains to team up to tackle the project together? Could they manage to outdo even the Bard? Hook it up and book it up! 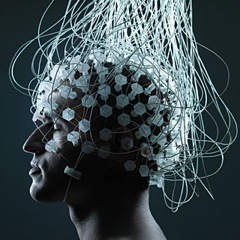 As reported by the Guardian, scientists have developed a brain-interface system that allows separate minds to connect and collaborate on initiatives together. The system was originally designed by Duke University scientist Miguel Nicolelis for the purpose of allowing paralyzed or amputees to control robotic prosthetic limbs or exoskeletons. 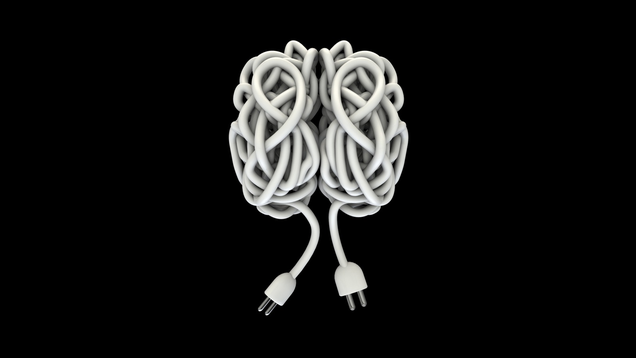 Now, Nicolelis believes that "organic brains" of colossal cognitive capacity could be created by wiring many minds together. When four rats' brains were wired together, they solved a weather-related problem that had evaded each of them on an individual scale. Stimuli applied to their brains informed the individual rats of conditions around them, leading all to make informed decisions together by acting on their amassed collective data. The "brain net" dramatically outperformed their individual results. The neurons that wire together, fire together. In another study, three rhesus monkeys had their brains monitored, specifically the neuronal activity in the motor cortex. The monkeys were then trained to control a digital image of a 3D arm, using only their imaginations. Each monkey had the ability to control two of the three dimensions. Then, a bolt of brilliance struck. Though the monkeys' brains were not wired together, when they witnessed the challenge to maneuver the arm to touch a ball on the screen, their brain activity became intuitively synchronized to accomplish the task. This technology, while both creepy and cool, could be eventually used to aid in brain rehabilitation by linking the desired brain regions of healthy users to the patient in need of a brainframe boost. No implants would be required, as the stimuli can be implemented via skin-surface electrodes. Just don't forget your charger. Wait, isn't that just Jameson's and coffee? But what about tapping into the brains of that happy young couple down the street as they skinnydip in their new pool, or hacking a platoon of mercenaries with murderous intent? “You’re not going to share your emotions or personality to a brain-net,” Nicolelis said. “These are not reducible to a digital algorithm. You can’t reproduce these individual human attributes." That's right. You be you, and let the wired-up, rat-based brain-net handle the rest.